Want to play just like golfing legend Ernie Els? Throw your chances in for this item, and you’ll be the proud owner of a signed photo of Mr. Els himself, plus a custom club cover, golfing accessories… and some playing cards to unwind after your golf game. 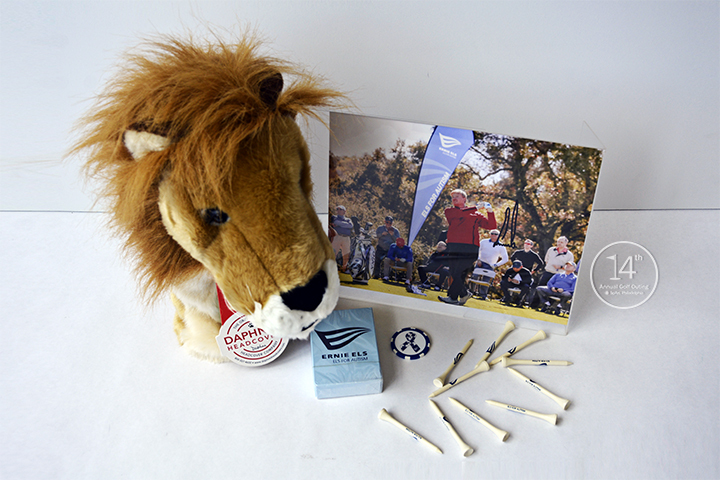 Basket includes: Autographed photo of Ernie Els, club cover, golf accessories, and playing cards.